FUEL EFFICIENT 36 MPG Hwy/27 MPG City!, PRICED TO MOVE $1,300 below NADA Retail! LT trim. Turbo Charged, LEATHER PACKAGE, Back-Up Camera, Onboard Communications System, Satellite Radio, ENGINE, 1.5L TURBO DOHC 4-CYLINDER DI... AND MORE! Back-Up Camera, Satellite Radio, Onboard Communications System. LEATHER PACKAGE includes (KA1) heated driver and front passenger seats, (AAQ) 6-way power front passenger seat adjuster, (AT9) front passenger power lumbar seat adjuster and (UQA) Bose premium 9-speaker system, CONVENIENCE AND TECHNOLOGY PACKAGE includes (BTV) remote vehicle starter system, (DD8) inside rearview auto-dimming mirror, (KI6) 120-volt power outlet, (UDD) color Driver information Center, (IO5) Chevrolet MyLink Radio, (K4C) Wireless Charging, (USS) dual USB charging-only ports in rear of center console, (N34) leather-wrapped steering wheel and (VY7) leather-wrapped shift knob Also includes (PZX) 18" aluminum wheels and (R0X) 245/45R18 all-season, blackwall tires. 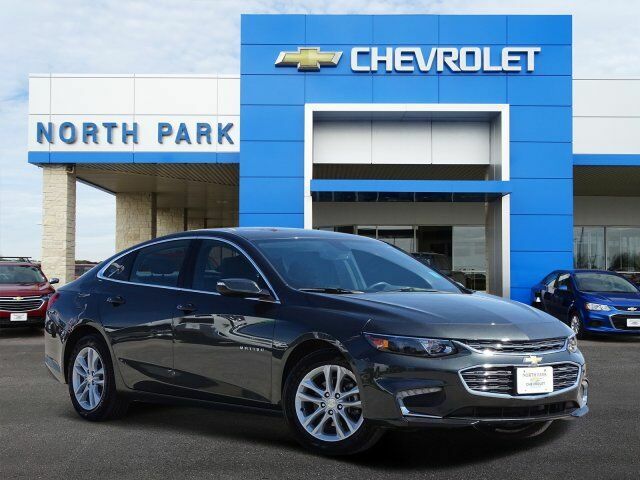 ), AUDIO SYSTEM, CHEVROLET MYLINK RADIO WITH 8" DIAGONAL COLOR TOUCH-SCREEN, AM/FM STEREO with seek-and-scan and digital clock Keyless Entry, Child Safety Locks, Steering Wheel Controls, Electronic Stability Control, Heated Mirrors, Alarm, Bucket Seats. This Malibu is priced $1,300 below NADA Retail.